Logitech raised the level of gaming experience by introducing their new lines of G Series gaming gear at their booth on one of the biggest E-Sports Event in South East Asia, the ESL One 2016 held at the SM Mall of Asia Arena last April 23 2016. With the tag line Game with Passion, Win with Science, 4 new gaming gears that were designed for gamers were introduced by none other than Logitech’s Country Manager Mr. KP Sim. This gaming headset enters the gaming arena with the patent pending Pro-G Audio driver that was designed by Logitech’s sound engineering team. Logitech G633 delivers an audiophile like performance thanks to its hybrid mesh materials built, Dolby 7.1 Surround Sound and DTS Headphone:X capabilities. The G633 Artemis Spectrum Gaming Headset also offers customizable, featuring RGB lighting, swappable backlit speaker plates, Programmable G-Keys and an onboard software equalizer to allow you to customize your audio settings for superb gaming experience. You can get the Logitech G633 Artemis Spectrum Gaming Headset for PHP 7,900 in any major IT and gaming Store. The G502 Proteus Spectrum Mouse introduces itself as a fully customizable, high performance mouse that has the most accurate and responsive optical sensor, surface tuning calibration, weight adjustment and on-the-fly DPI shifting. You can match your mood and style by adjusting the mouse’s lighting with up to 16.8 Million colors. Bring your mouse to life with the breathing light patterns or set the lighting to sleep when it’s Idle. You can get this Logitech G502 Proteus Spectrum Mouse for PHP 3,990 in any major IT and gaming Store. 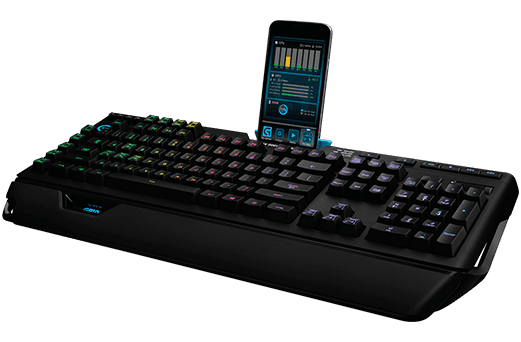 This Keyboard enters the gaming arena as a full size mechanical gaming keyboard that integrates industry-leading technology and quality of construction in a uniquely crafted design allowing it to deliver nothing but the pure gaming experience. G610 Orion Brown Mechanical Gaming Keyboard features a Cherry MX mechanical switches and a customizable bright white LED backlighting and a dedicated media control. 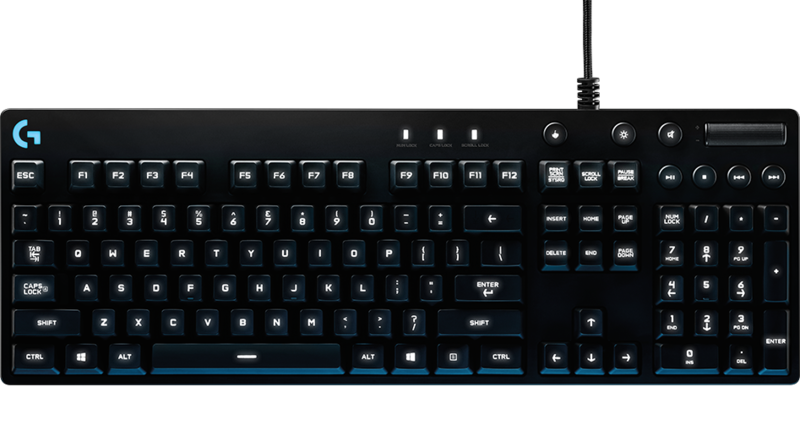 You can get the Logitech G610 Gaming Keyboard for PHP 7,399 in any major IT and gaming Store. Orion Spectrum RGB Keyboard is a full-sized RGB mechanical gaming keyboard that integrates industry-leading technology and quality of constructing unique crafted design to deliver peak performance. 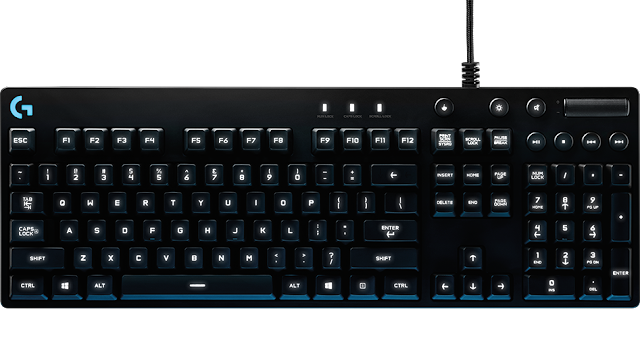 This keyboard features Logitech’s exclusive Romer-G mechanical switches that offer 25% faster actuation than the standard mechanical keyboards. 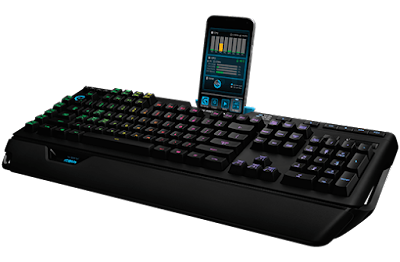 This keyboard also features a customizable RGB lighting and dedicated Media Controls. You can get Logitech G810 Orion Spectrum RGB Mechanical Keyboard for PHP 9, 150 in any major IT and gaming Store.